As a parent, we are constantly bombarded with advertisements and agencies that are looking to sell us something. They play on our fears and lack of experience to tell us that we need a specific product in order to make our family stronger, or to make us happy. However, this is clearly not the case. What is this magical activity, you ask? It’s simply eating dinner together consistently as a family. Dinner may be the one time of day where parents and children can share positive experiences – a joke, a story, and simple conversation, that has the potential to create happy moments shared together. For children, dinnertime conversation boosts vocabulary 700% more than being read to at night. That’s right – young children are exposed to more than 1,000 unique words at the dinner table, and only 143 on average from being read to [Source]. In addition, family mealtime frequency is correlated with a better relationship with their parents, less stress, positive moods, and a positive view of the future. 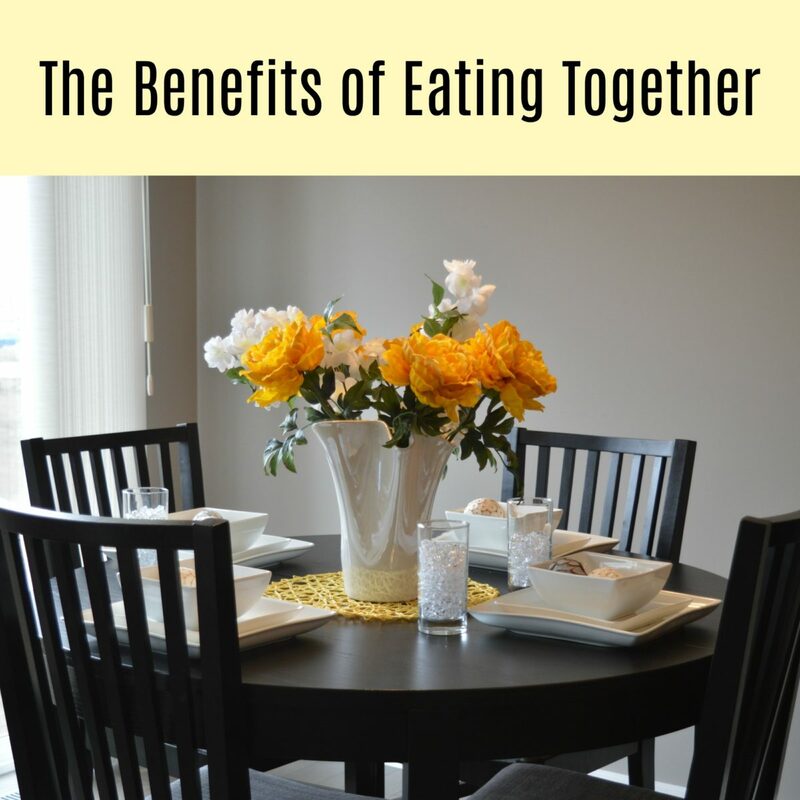 The key to reaping the benefits of this is simply by eating meals together frequently, creating an environment that is warm and engaging (not controlling or restrictive), and to make sure TVs and telephones are off and not a distraction – phones preferably on silent and in a different room. Now for busy parents, it’s not always possible to have a home cooked meal ready – especially if both parents work (but even if one isn’t working, there’s so much to do when raising children there isn’t always time to cook). What we like to do is purchase a Walmart party tray, as well as a large Walmart veggie tray and then serve that for dinner for 2-3 nights in a row. These items are pre-cut, fairly healthy, and the best part is that we can usually stretch them to last 3 days or so. There is a lot of variety in the trays so our kids don’t get bored and more importantly, our picky eaters are satisfied), and they’re fairly inexpensive when looked at on a per meal basis. It’s clearly both healthier and less expensive to cook all the meals at home, but if that’s not a possibility, then don’t lose out on the true value and enormous benefits of eating dinner together simply because there isn’t enough time to prepare a meal and clean up afterwards. That’s much less important than the actual activity of eating together as a family.